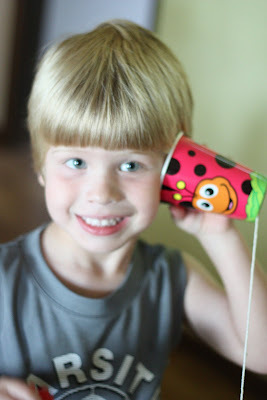 Cup Telephone - I Can Teach My Child! Do you remember making these as a child??? Talk about some girl scout camp nostalgia! I love this activity because it is fun for all ages! 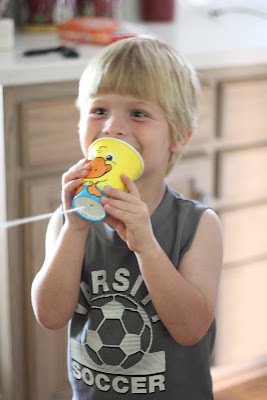 Young children will enjoy playing with the cups while older children will enjoy learning and experimenting! Here’s what you’ll need: 2 cups (8 oz. or larger), string, a pen/pencil, and tape. 1. 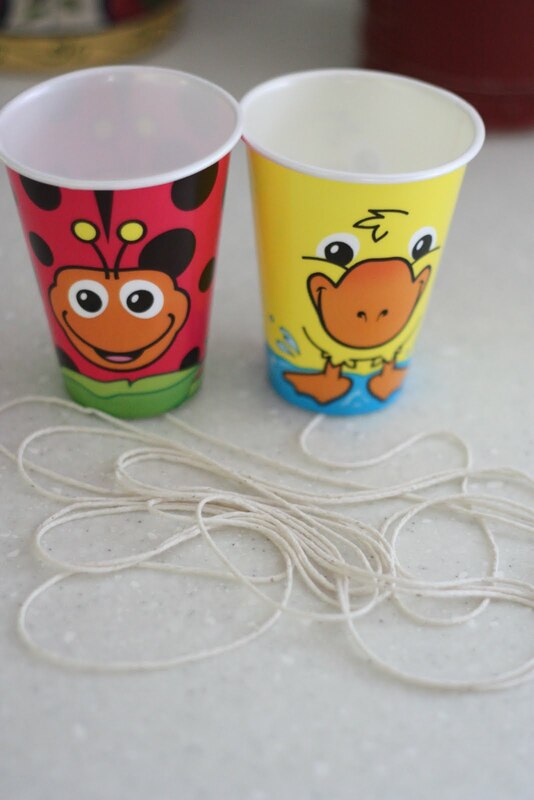 If you have cups without a design, let your child decorate them. This is what I wanted, but I couldn’t find them at Target. 2. 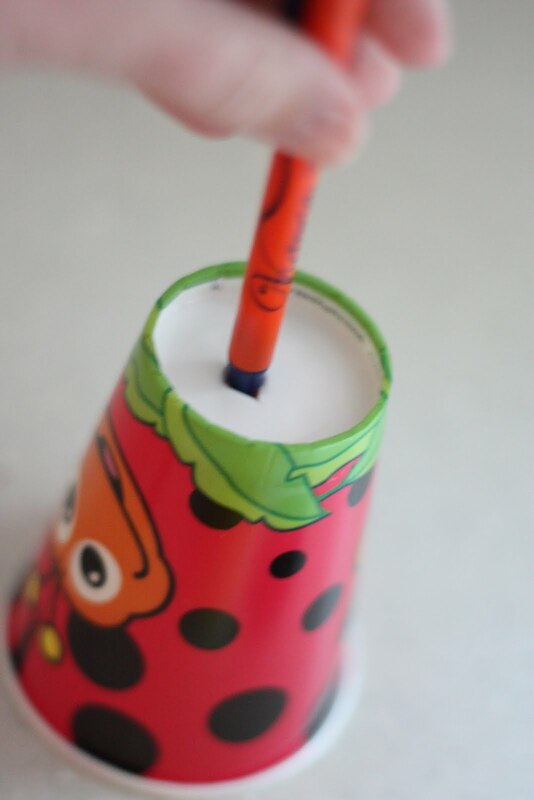 Poke a hole through the bottom of each cup using the pen/pencil. 3. 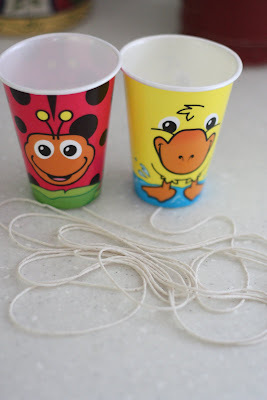 Put one end of the string through the hole and tape to the inside of the cup. 4. Repeat with the other side of the string, making sure to leave enough string to stretch several feet. 5. Give one end to one child and stretch out the string until it is pulled tight. 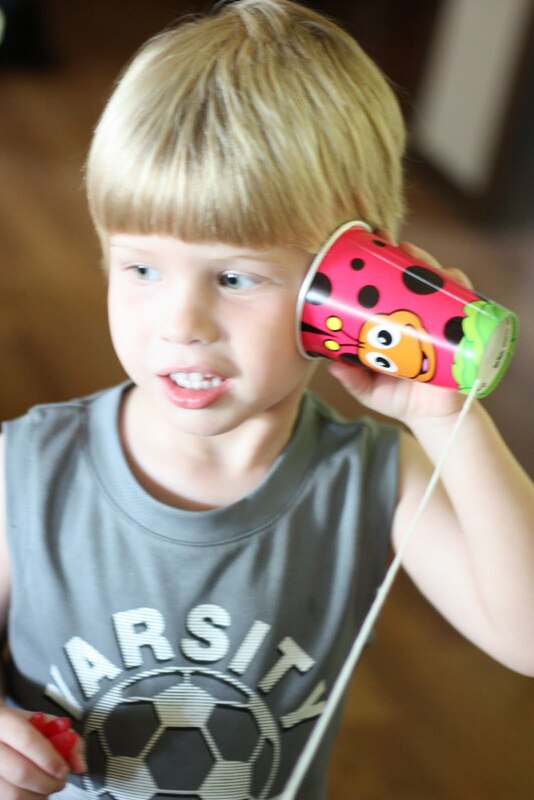 Give the other end to the other child (or use yourself) and have fun speaking and listening into your very own cup telephone! For older children, encourage them to think! Have them make predictions about whether or not they will be able to hear using this telephone and justify their predictions with reasoning. Test out the cup telephones and then have them confirm or deny their predictions. Talk about how the sound travels down the length of the string. Ask questions: will it work when the string is loose or only when it’s tight? Why? Test out different lengths of string to see whether this makes a difference in the volume and/or ability to hear. 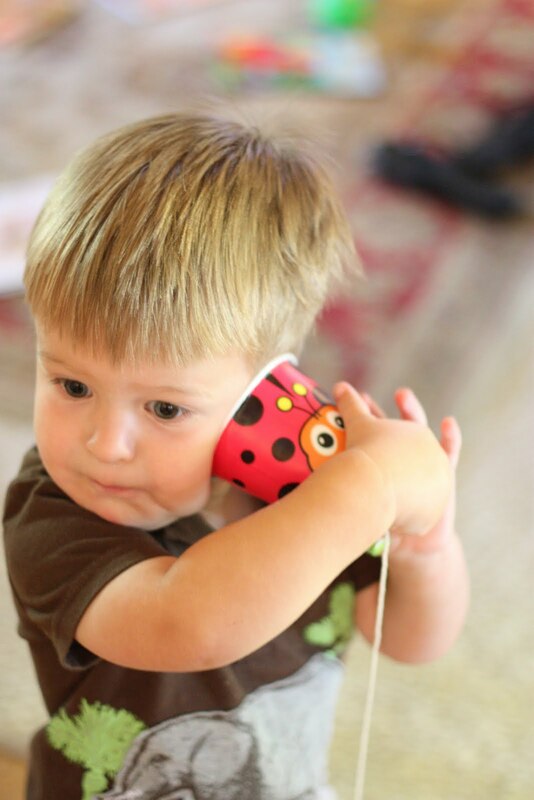 In a classroom or play group, spread out into a large circle outside and try playing the game “telephone”. What games or extensions do you recommend for using these cup telephones?? ?